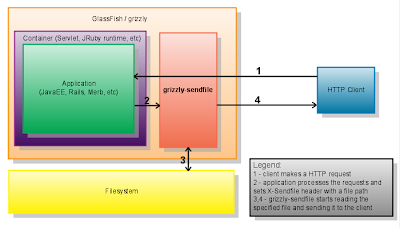 Yesterday I tried to find a regression bug in Grizzly that was preventing grizzly-sendfile from using blocking IO. I knew that the bug was not present in grizzly 1.9.15, but somewhere between that release and the current head someone introduced a changeset that broke things for me. Here is how I found out who that person was. Grizzly is unfortunately still stuck with subversion, so the only thing (besides complaining) that I can do to make my life easier, is to convert the grizzly svn repo to some sane SCM, such as mercurial. I used hgsvn to convert the svn repo. In under two minutes I found out who and with which revision caused all the trouble! Bisect is very useful for large projects, developed by multiple users, where the amount of code and changes is not trivial. Finding regressions in this way can save a lot of time otherwise spent by debugging. The only caveat I noticed is that you need to create a shell script that is passed in as an argument to the bisect command. It would be a lot easier if I could just specify the maven command directly without the intermediate shell script. Last night, while working on a project I found a really neat use of Rails Components, but I also noticed that this part of Rails is deprecated, among other reasons because it's slow. Well, how slow? During my quest to find out, I collected some interesting data, and even more importantly put JRuby and MRI Ruby face to face. Disclaimer: the benchmarks were not done on a well isolated and specially configured test harness, but I did my best to gather data with informational value. All the components were used with OOB settings. Both tests were run with JRuby as well as with RMI Ruby and in addition to that I ran the tests with Rails in single-threaded as well as multi-threaded modes. I didn't use mongler clusters or glassfish pooled instances - there was always only one Ruby instance serving all the requests. From my tests it appears that MRI is faster in single threaded mode, but JRuby makes up for the loss big time in the multi-threaded tests. 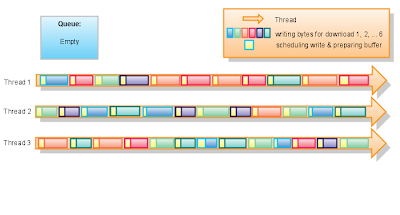 It's also interesting to see that the multi-threaded mode gives MRI(green threads) a performance boost, but it's nowhere close to the boost that JRuby(native threads) can squeeze out from using multiple threads. During the tests I noticed that rails was reporting more times spent in the db when using JRuby (2-80ms) compared to MRI (1-3ms). I don't know how reliable this data is but I wonder if this is the bottleneck that is holding JRuby back in the single threaded mode. A few days ago I got a new MacBook Pro. While waiting for it to be delivered, I started thinking about how I want to layout the installation of the OS. For a long long time I wanted to try to use ZFS file system on Mac and this looked like a wonderful opportunity. Getting rid of HFS+, which was causing me lots of problems (especially its case insensitive re-incarnation), sounds like a dream come true. If you've never heard of ZFS before, check out this good 5min screencast of some of the important features. A brief google search revealed that there are several people using and developing ZFS for Mac. There is a Mac ZFS porting project at http://zfs.macosforge.org and I found a lot of good info at AlBlue's blog. There are a bunch of minor issues, which I'm sure will eventually go away. None of the above was a show stopper for me, so I went ahead with the installation. My plan was simple - repartition the internal hard drive to a small bootable partition and a large partition used by ZFS, which will hold my home directory and other filesystems. Even though MacOS X 10.5 comes with ZFS support, it's only a read-only support. In order to be able to really use ZFS, full ZFS implementation must be installed. 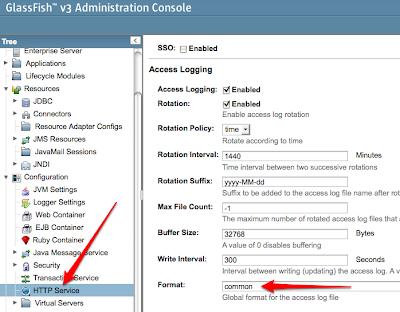 The installation is very simple and can be done by following these instructions: http://zfs.macosforge.org/trac/wiki/downloads. Alternatively, AlBlue created a fancy installer for the lazy ones out there. Once ZFS is installed and the OS was rebooted, I could repartition the internal disk. If you are using an external hard drive, you'll most likely need to use zpool command instead. Good, the internal disk was identified as /dev/disk0 and it currently contains an EFI (boot) slice and ~300G data slice/partition. Let's repartition the disk so that it contains two data partitions. Great, the disk was repartitioned and the existing data partition, which I call boot, was resized into a smaller 40GB partition and the extra space was used to create a ZFS pool called tank. Btw all the data on the boot partition was preserved. The warning above just means that a new ZFS storage format is available but is not used by the current pool. As far as I could find there are no benefits for upgrading to the new format on Mac, but if I did, I would lose compatibility with Macs that have only the read-only ZFS support. That's it. My Mac account now resides on a ZFS file system. Now I can finally enjoy all the benefits of using ZFS on my OpenSolaris box in my office as well as on my Mac. Bye bye HFS, I won't miss you!